A good article at LifeHacker.com tells you how to make a few dollars through “Fulfillment by Amazon.” This is their program to get you to sell the stuff that you never use or look at. Put all your old gadgets, CDs, books and whatever in a box and send them off. Let Amazon do the rest. Basically, the deal is you pay the shipping charge plus a storage fee of 45 to 60 cents per cubic foot per month, depending on the season. They list the stuff in appropriate sale categories. The shipping is by UPS. Amazon says they’ll provide discount labels once you know the size and weight you’re sending them. The work involved is minimal. Put your stuff in a box, follow the instructions on Amazon’s website and print out the shipping label. 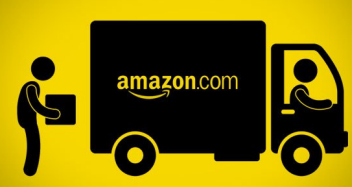 The box will be picked up at your doorstep and Amazon will handle any complaints or communications with the buyer. The instructions have the kind of complexity that only a dozen executive meetings can put together, but it looks possible for humans to slog through it. To learn more about the ins and outs, take a trip to Lifehacker.com. Search for the key phrase “How to sell your excess stuff for cash.” Or click here.